Tue Apr 9, 2019 554 words. The server you deploy to Cloud Run must be stateless, which is a requirement for any code running in a serverless environment. This means you should not save anything other than temporary files on the filesystem and you cannot use a database in the container, ie PostgreSQL, MySQL, etc. All persistent data should be handed off to a different service like Cloud Storage or Firestore. 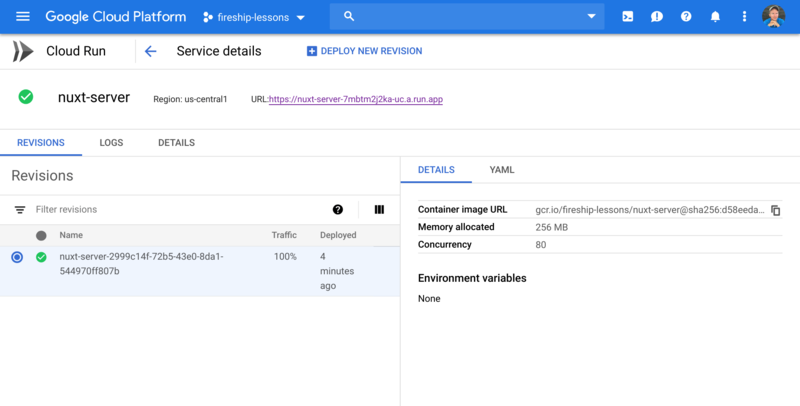 Next, upload the image to Google Cloud’s Container Registry. 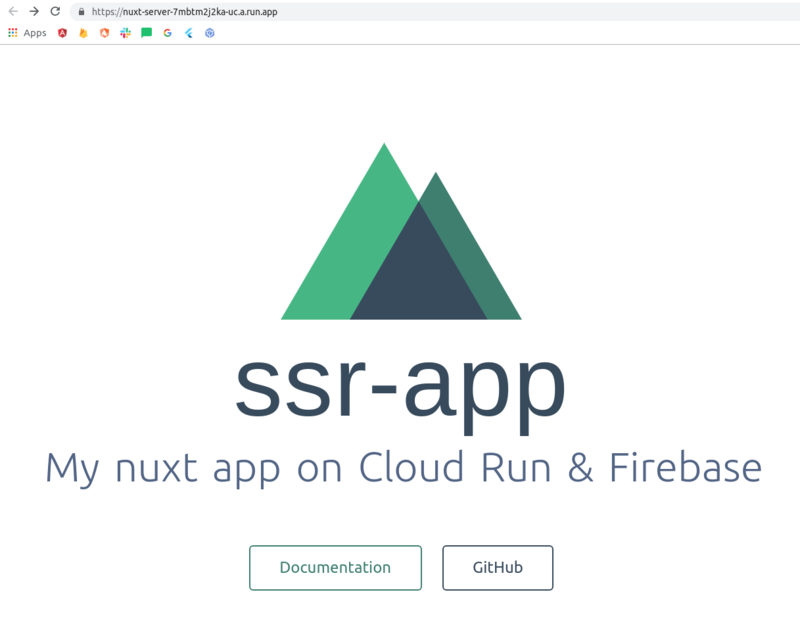 Navigate to the URL to view the deployed Nuxt app. As a final touch, let’s integrate our microserice with Firebase hosting. Initialize Firebase Hosting, select NO for “single page app”, then delete the public folder.